I have a very distinct childhood memory of sitting in front of the TV on Saturday nights with my dad watching ALL STAR WRESTLNG. 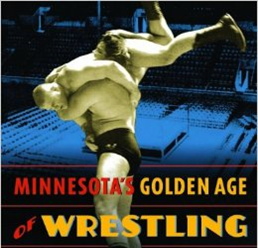 Perhaps you didn’t know that Professional All Star Wrestling had its beginnings right here in Minnesota. During the late 60s and through the 70’s all these weekly match ups featuring Verne Gagne, the “Crusher”, Baron von Raschke, Hulk Hogan, and of course Jesse the Body Ventura – they were all filmed at a local TV studio right here in Minneapolis and then broadcast into other markets around the country. It’s one of Minnesota’s contributions to popular culture. You’re welcome, world. October 1 was the day the new health care exchanges were set to launch. These are the new online marketplaces where individual Americans and small businesses can now shop for health insurance – it’s part the Affordable Care Act. The fact that over 8 million people accessed the federal site in the first couple days reveals that many in our country are in need of health insurance!